This is an interesting question. Cecil Rhodes was a racist colonialist who exploited Africa. Yet he also bequeathed land to the University of Cape Town (its main campus) and established the Rhodes Scholarship. In 2015, Rhodes’ statue was removed from UCT’s campus after protests from students at the university. This is a university that despite the history of one of the people who enabled it to be established, became a vocal critic of the apartheid government in South Africa. So was it right to remove his statue? I’m not sure if he ever intended that his funds would support anyone but Anglo-Saxon people, but they have. Rhodes seems to be one of these borderline people you mention. 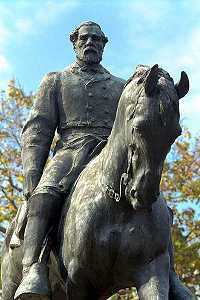 To me it seems his statue should have stayed and we could use it to talk about the ambiguity of life. About the illusions we all suffer from and why it is so important to keep questioning. This is hard to do. Why keep questioning the things we believe, they are so comfortable…. I agree…in facts Rhodes was one of those figures that got me questioning my own feelings because I have a strong affinity for the scholarships, spent lots of time at Rhodes House in Oxford, etc. But it let me know how complex these things are, and why we choose what we choose. And how badly one can want something to be different than it is….on both sides of the argument. I hope this email finds you well. I always appreciate reading your perspectives from “The Stubborn Glebe”. We fall very close on topics you’ve presented thus far. To that end, I thought you might appreciate the attached speech given by the Mayor of New Orleans in late May. It’s a damn great speech. I wish more people had the opportunity to view prior to this month’s events in Charlottesville. Thanks Gayle. Hope all is well with you…yes that is one terrific speech!! !